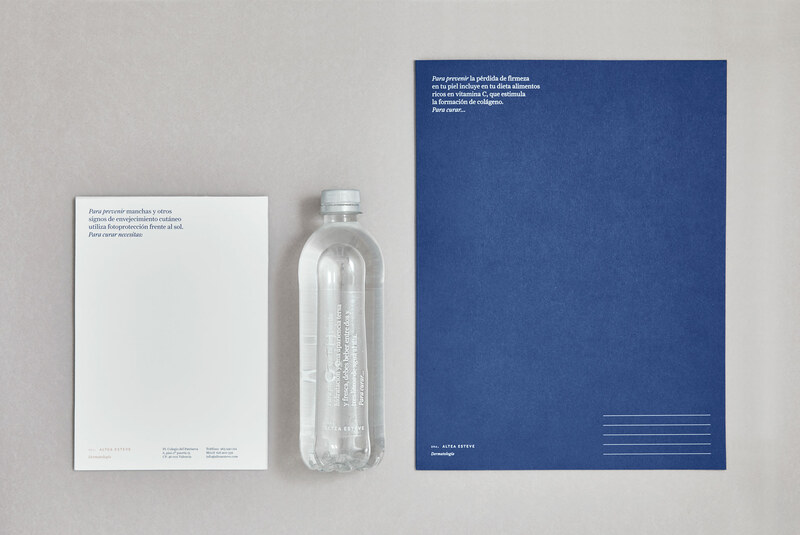 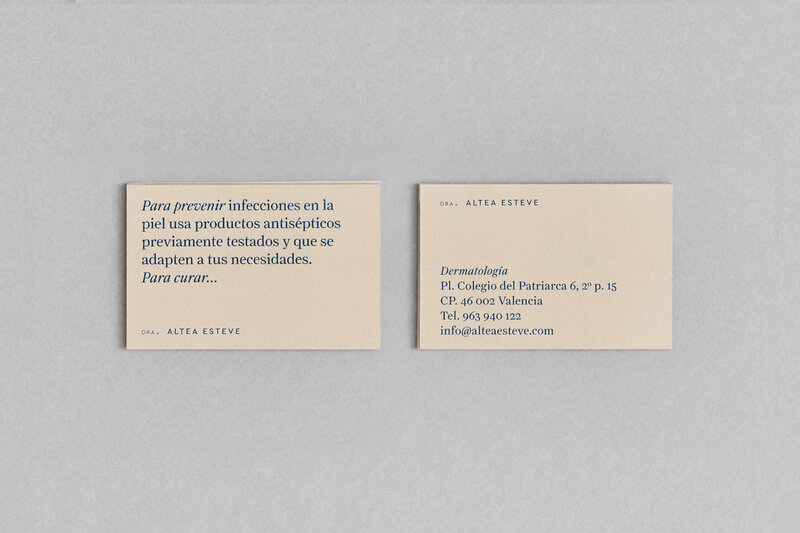 Altea Esteve MD commissioned us to design the corporate identity for her new clinic brand she was about to open. 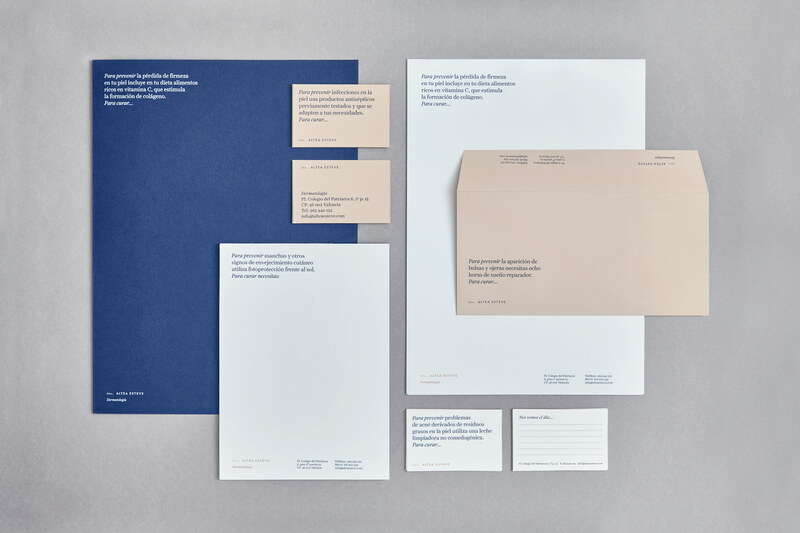 In order to differentiate from their competitors, she wanted to introduce herself with a close and warm identity. 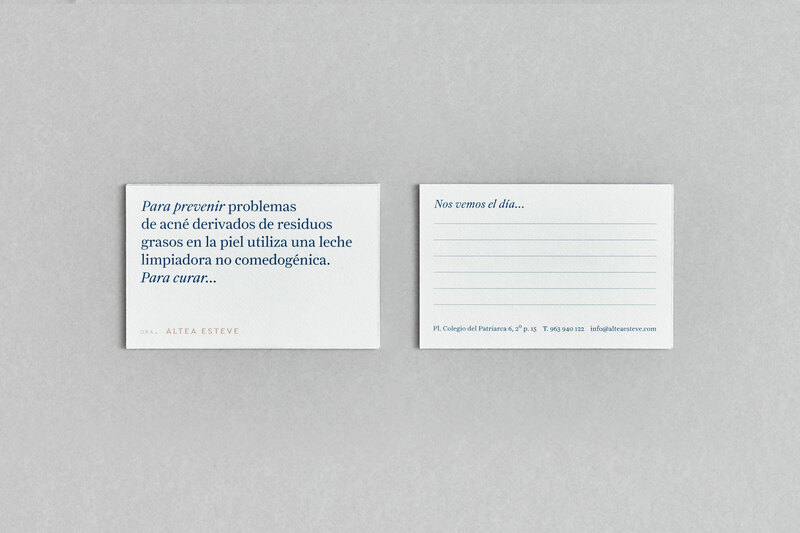 Regarding to the concept, we started by the spanish proverb “prevention is better than cure”. 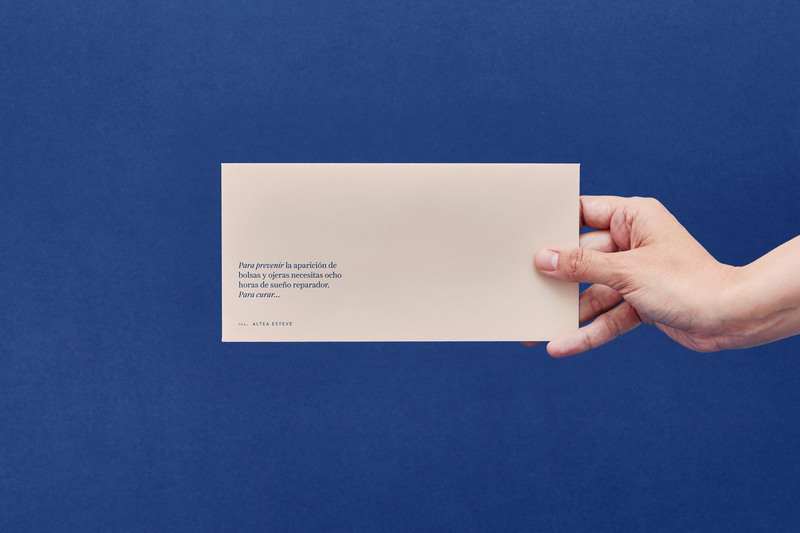 From this point, several advices for taking care of the skin were created. 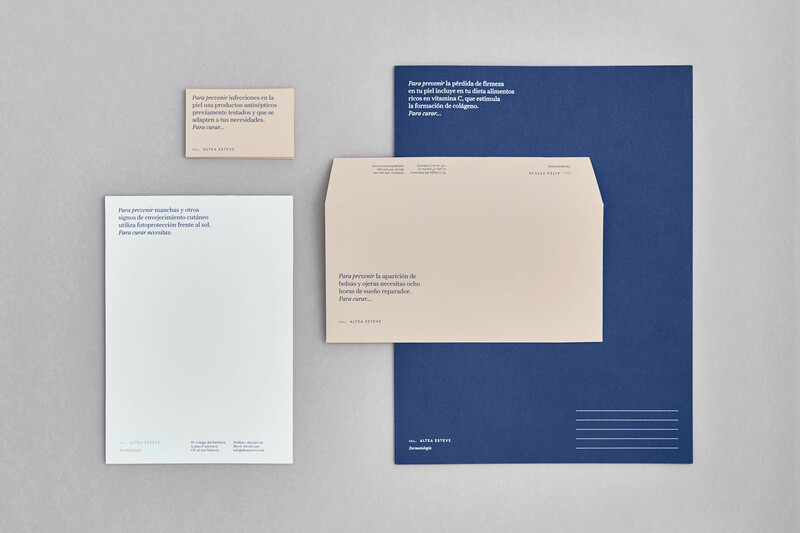 Therefore, in each piece of the stationery, the dermatologist offers an added value to her patients. 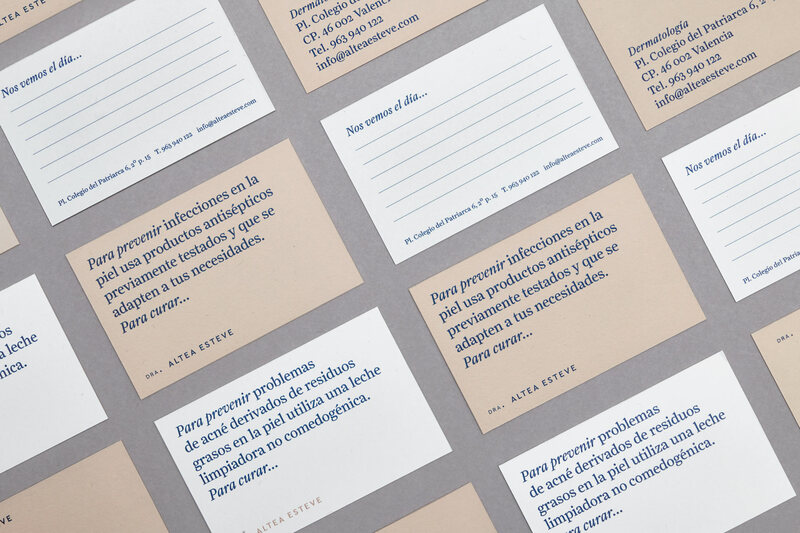 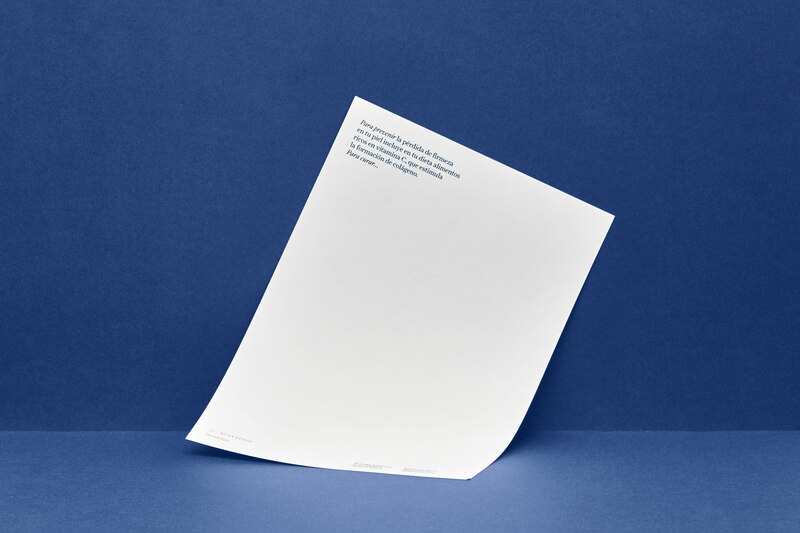 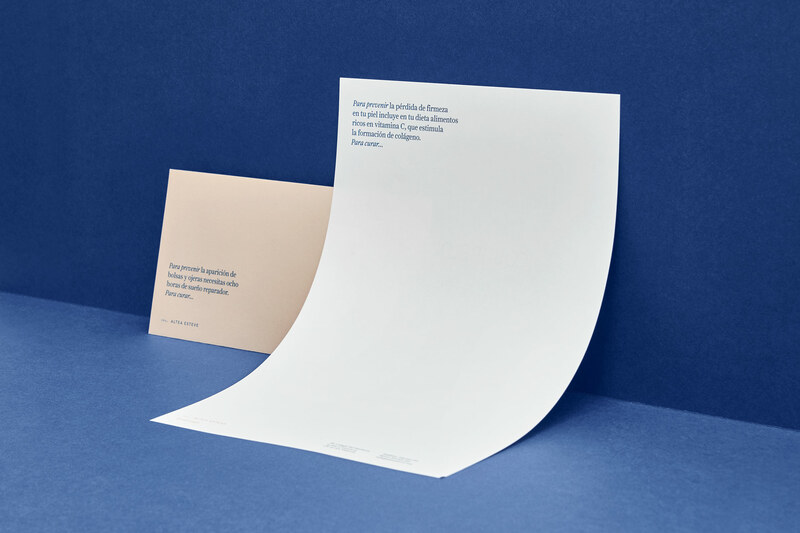 The serif typography used in the skin care advices provides the brand an elegant feeling. 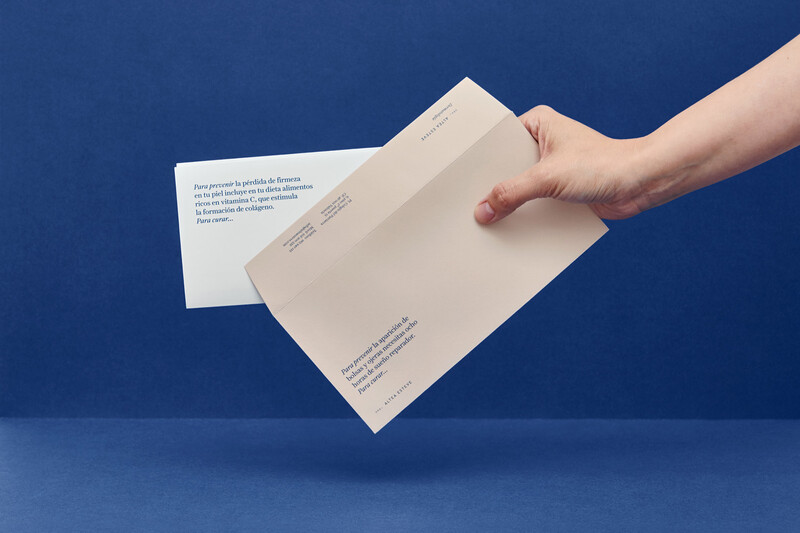 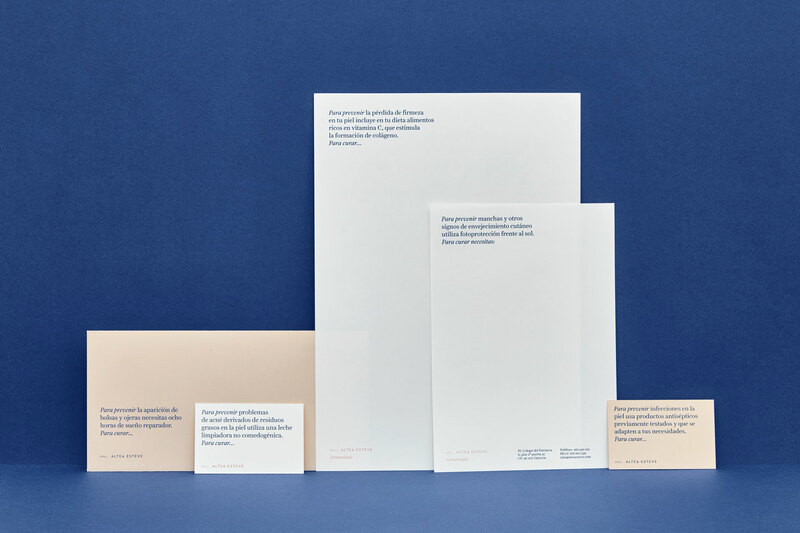 Equally important is the combination of the corporative colours used for the stationery which ensures a fresh and original identity.